You know how I love the Topaz suite of plug-ins. Topaz Adjust is my go-to plug-in for making my images pop, and Topaz DeNoise does an excellent job of getting rid of those ugly pixels from low-light images. Just recently I added Topaz Black & White effects to my toolbox, and I love the wide choice of presets and sliders that give the user total control of the resulting image. So when I got the latest email from Topaz announcing a major upgrade to their Lens Effects plug-in, I jumped at it. I did not have this plug-in already, but through a special offer that’s good from now through Christmas Eve, I was able to purchase it new at the upgrade prices of $29.99. 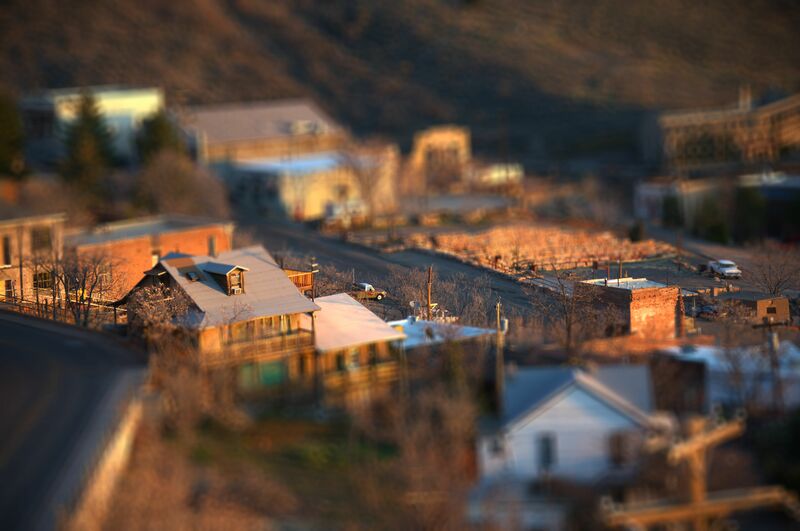 The main reason I wanted to have this particular tool was to try my hand at the effect known as tilt/shift. I don’t have a tilt/shift lens in my gear collection, but this plug-in does a pretty decent job of mimicking the effect through some judicious blurring of parts of the image. If you’re not familiar with tilt/shift, the effect is meant to take an image from the real world and make it look like it’s a toy or a model. Ideally, the image is shot from an overhead vantage point (visualize looking down at a model train on a table). The idea is to have some small part of the image be in sharp focus while the rest of the image is blurred, making it look like a small toy model of what it really is. Notice how the pickup truck in the middle of the image begins to look like a toy model with the blurred foreground and background? Pretty cool, huh? This entry was posted in Information, Processing. Bookmark the permalink.